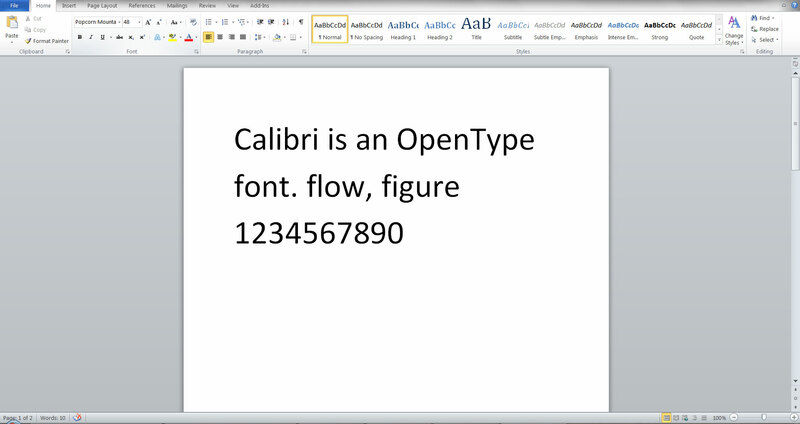 OpenType features are a great way to add flexibility to fonts. 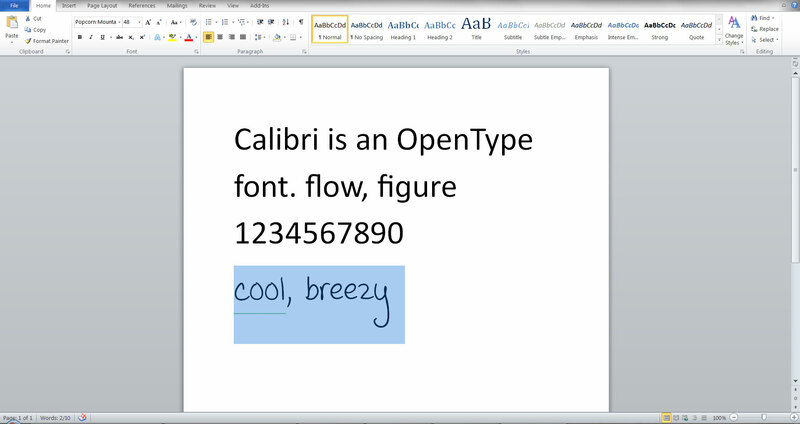 With them, font creators can add a huge variety of useful options to their fonts. The problem is it’s not always obvious how to make use of these options for the end-user. 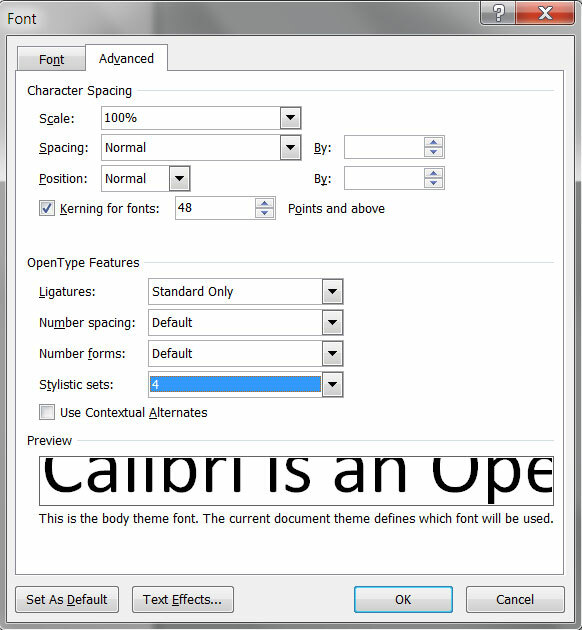 Since OpenType is relatively new, many old applications have no options to enable OpenType features–in fact, even most new applications take a selective approach to implementing OpenType features.  Worse, those applications which do implement OpenType features haven’t necessarily made it easy for the end-user to figure out. This is especially true in word processing applications. In this article I will discuss how to enable OpenType features in Microsoft Word. 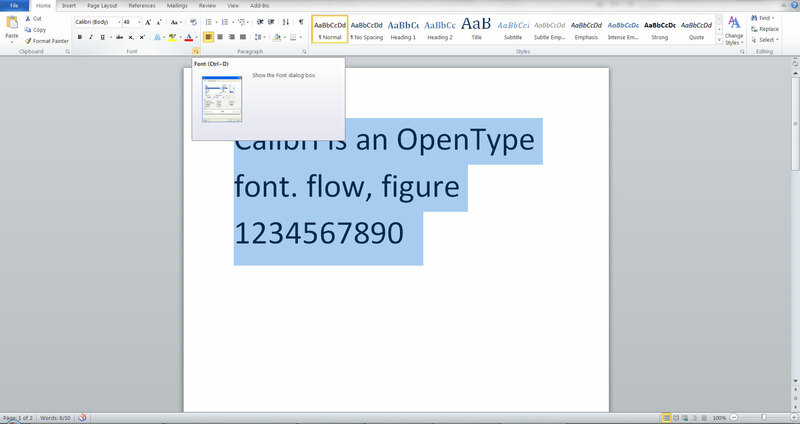 You must have Microsoft Word 2010 or later for OpenType features. Make the following changes to enable kerning, standard ligatures, and stylistic set 4. You can also experiment with other settings. 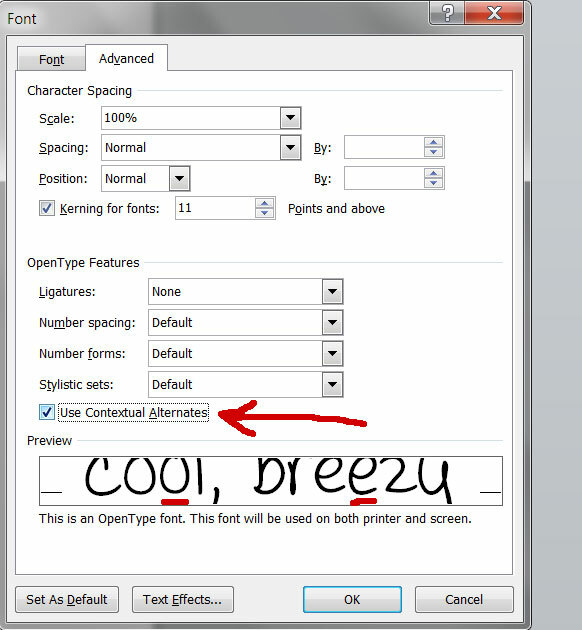 When I make handwritten fonts I like to create “contextual alternatives”, which you can enable in the font dialog. 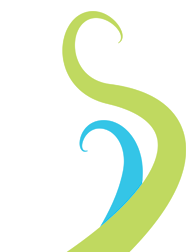 For example, the font “Popcorn Mountain!” has contextual alternatives for common double-letter combinations, which makes the handwritten font appear more natural. 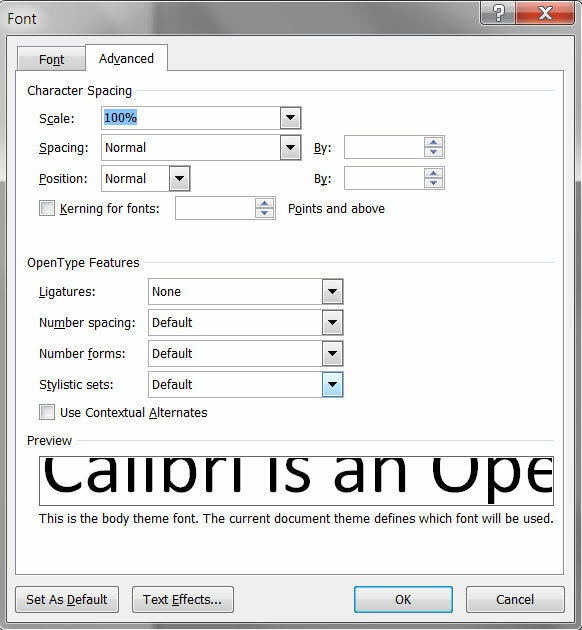 Check out this page for an in-depth look at all OpenType features.